This post is written by my co-blogger Stacy! Now that the cold weather is upon us, it’s time to think safety. If you have a child that is still in a car seat or booster this post is for you! I have been a Child Passenger Safety Technician for 6+ years now, and coats in car seats is an important topic. This is where the Birdy Boutique car seat poncho comes in! Not only are they adorable, but kids love to wear them. It’s like wearing a blanket and it’s the perfect solution from house to car. Put your child in a car seat safe jacket if it’s really cold and the poncho over top. When you place them in their seat the back side goes over the back of the seat so it’s not in between the child and their seat. The harness can be buckled as normal and the poncho doesn’t interfere at all. This is still a good product for kids in boosters as well, you don’t want compression issues with any restraint. 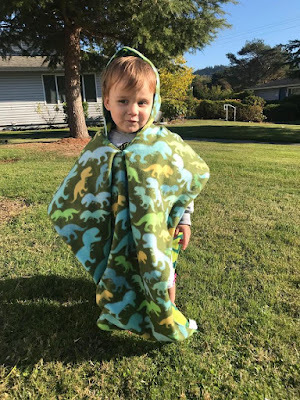 Birdy Boutique ponchos wash well, and the reversible fabrics are soft and fun. My kids also use it as just a blanket when it’s not super cold out. 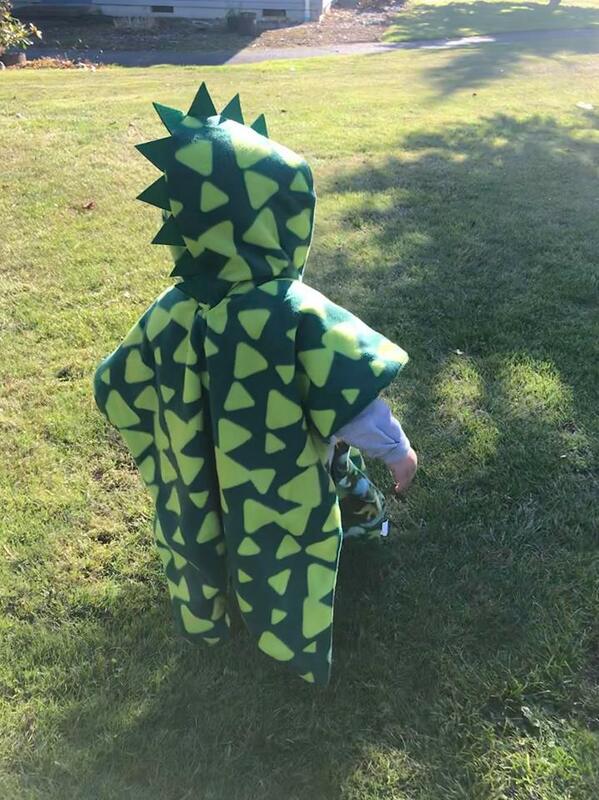 Abel is really into dinosaurs so he wears it around the house. The same poncho fits my 2 and 4 year old so it’s nice to be able to throw it on whoever needs it without worrying about size. Overall: ***** I give this product 5/5 stars. Keep kids safe in cars!! !